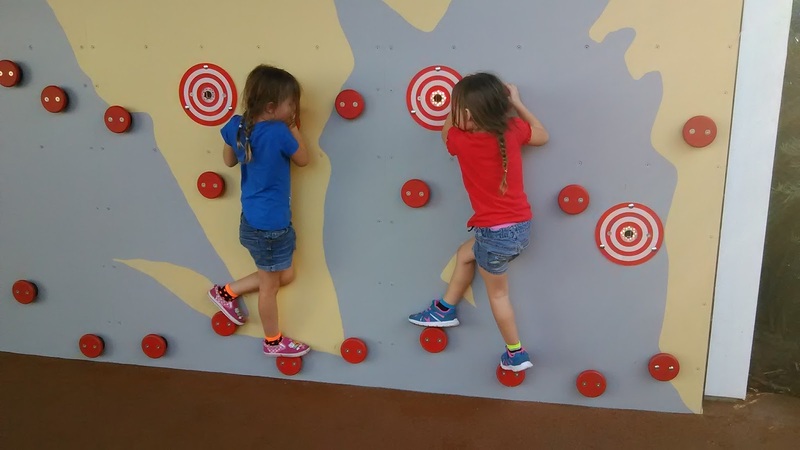 ThemeParkMama: Legoland FL, Lego Ninjago World Now Open! 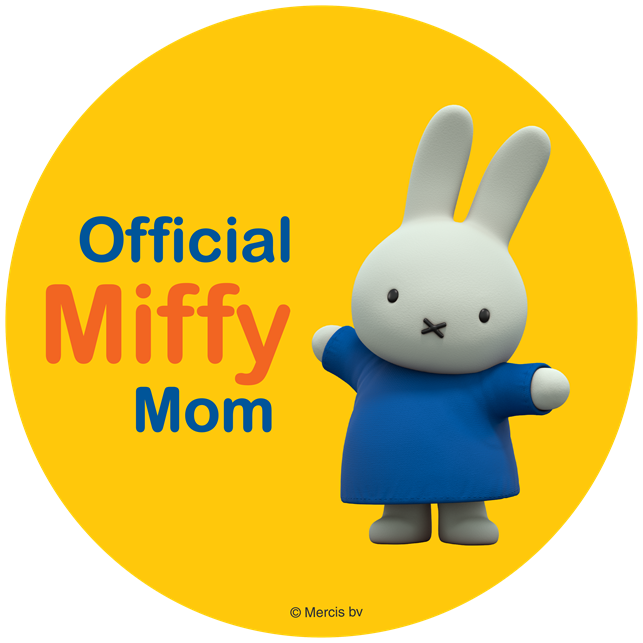 My family and I LOVE all things Lego, I personally have always enjoyed Lego sets as they are like a 3D puzzle, with many options of play when done. 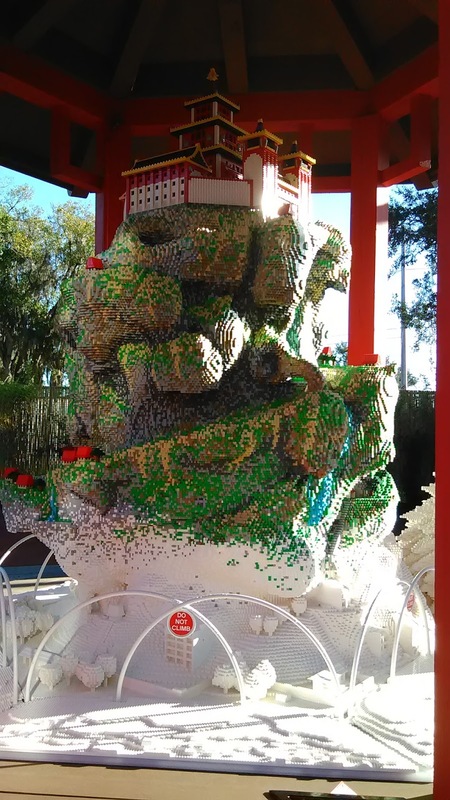 As time grew Lego advanced its sets along with coming out with its very own Lego themed park, which first arrived in CA. 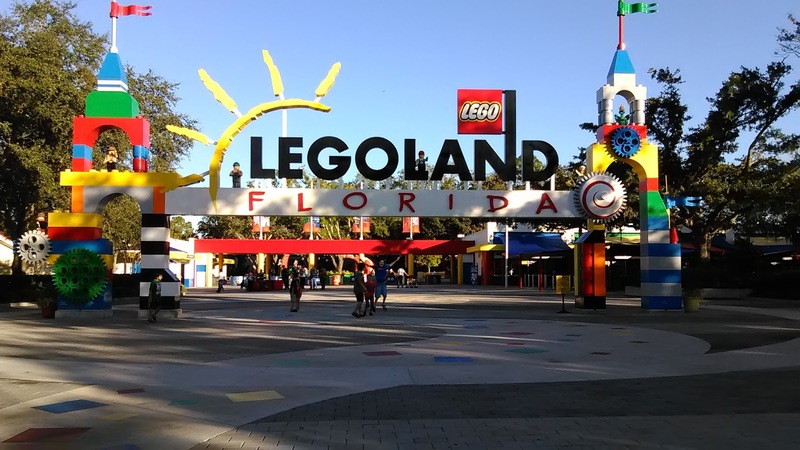 On October 15, 2011, Legoland, FL was opened to the public! 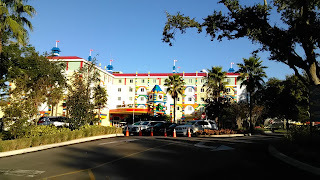 Heartlake City a world dedicated to Lego Friends, which opened in 2015. Heartlake City has a amazing ride called Mia's Riding Adventure, which is a high flying spinning out of control crazy adventure of a ride! 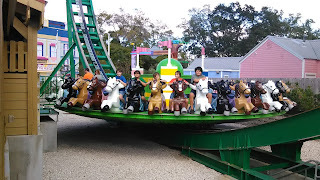 It was fun, on so many levels, one because my sons were like oh the horses are so "girly", but after getting on the cutest horses ever, they ended up not getting off, it was one of their favorite rides at the park! Let us not forget that along with the new attractions/worlds opening at Legoland, FL they also opened The Legoland Resort which is onsite! The Legoland Resort opened May 15, 2015 and you can walk 130 kid steps directly into the park! 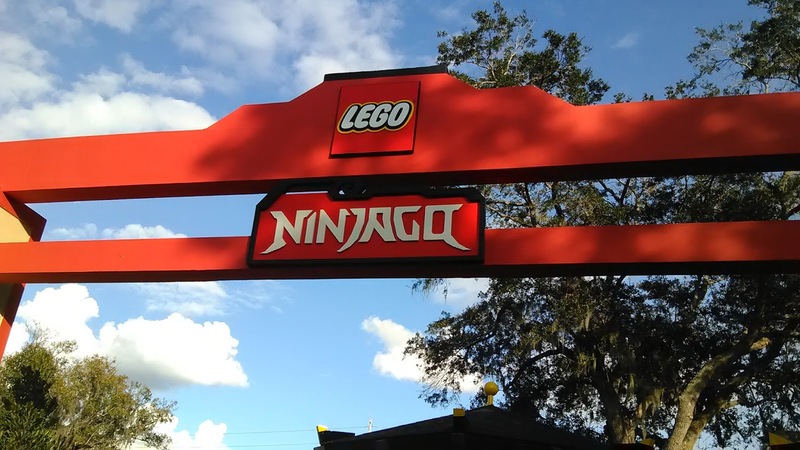 January 12th, 2017 Legoland, FL opened its newest attraction/world Ninjago World. 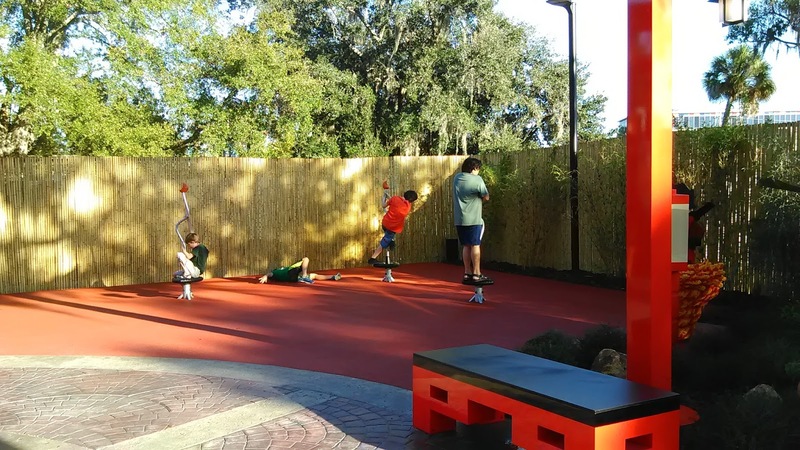 Ninjago test your ninja skills right as you walk in. You can start with the Cole's rock wall which teaches endurance, balance and patience, key to making our children have good social and work skills. Jay's Lighten Drill, which test how fast your reflexes are, which helps to sharpen the mind and focus on what is around you. Zane's Temple Build which let's everyone show off their building skills while making a town for the temple, or doing whatever you wish. Just a great place to enjoy the fun of Legos. Once you have enjoyed the above, you are now ready for the main attraction! 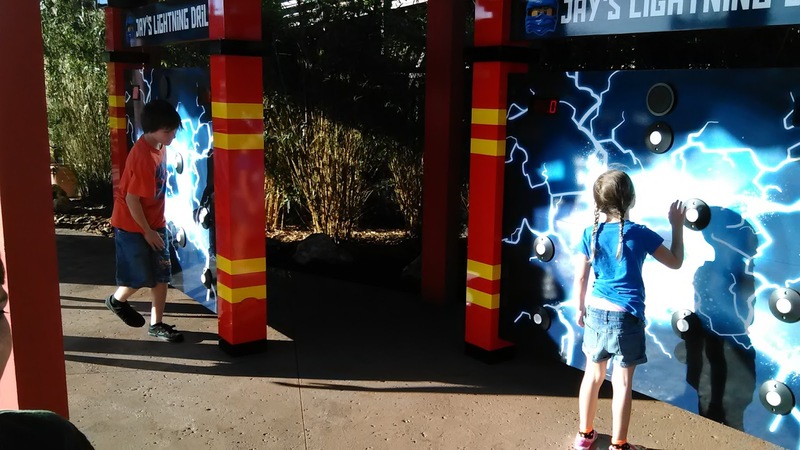 Lego Ninjago The Ride! Lego Ninjago The Ride is on a whole new level of enjoyment. 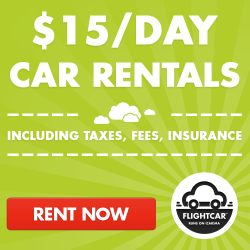 You are the ride! When you first enter the building they offer many ways to keep yourself busy while you wait. There are Lego bricks all over so you can build as you go, be sure to watch the video which is displayed while waiting because well I didn't, but we will go back to this. 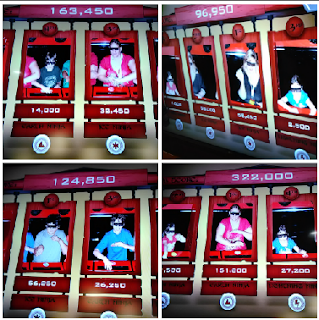 The ride is a 3D adventure in which your in a car that holds 4, each of you are assigned a color. Yellow, Blue, Red or Pink (I noticed this was every other car) and Green. Once on the ride you go on a wild adventure with the ninja's of Ninjago and battle the evil Serpentine, by using your ninja skills to blast them away. Okay so this is why I mentioned to watch the video. The first round we SUCKED at first I thought it was the ride.....sorry :( because all of us were hitting the wall, we could not get our elements to go up. The ride is interactive but not like okay just wave and you are good, it's like full workout interactive! In front of you is a flat bar which each seat has its own sensor system, it works like a check out at a grocery store, only instead of scanning a upc is scanning you! Making this ride unlike any you have been on. The reason why we sucked and kept hitting the wall was once again we didn't watch the video so we all were waving our hands over the sensor but close to the base. In order to get the elements to go high, you yourself must lift your hands at about chest level and then go over the sensor. WOW what a difference figuring out the ride made, once we got the hang of what to do we were scoring quite nicely! As all the rides in Legoland it takes a pic of you while on the ride, this was our score the first time and this was what we left with. All pictures are available for purchase at Wu's Warehouse which the ride ends. Each of these new worlds are after a Lego Series which you can stream most on Netflix. Which be sure to check out The Lego Movie, which for me personally blows my mind on how everything is Lego that the movie really was built brick by brick, and be sure to watch for the newest Lego Movie: The Lego Batman Movie in theaters in February 10, 2017. 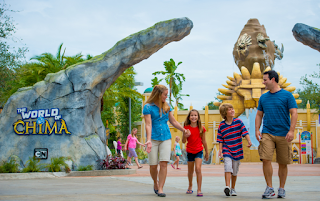 Enjoy a day of fun at Legoland, FL by purchasing tickets here. 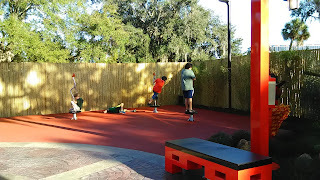 We enjoyed ourselves at the park, that we are planning to get a year pass which can be purchased here.